Sound estate planning allows an individual to prevent unintended consequences when it comes to the distribution of assets and minimizing the effects of estate taxation. Illinois, Chicago Estate Planning Attorney Marc J. Blumenthal has the skill and compassion to provide reliable legal advice and make sure your assets are protected. From Vernon Hills to Evanston, Clients return to Mr. Blumenthal for his ability to understand what their objectives are and his compassionate solutions to their estate-planning needs. If you’re a small business owner, having an estate plan in place will assist in the orderly transfer of ownership of your business. As owner, you have the power to direct who you want to succeed you both in ownership and management. We can also work together on more complex solutions, such as life insurance policies or stock buy-back agreements. With thorough estate planning, you can minimize the impact that the death of an owner will have on a company. When it comes to married couples, the absence of a will could mean that the courts decide who will become guardian of your children in the event of death. This process may result in an expensive dispute between relatives as to the best interests of the children. Worse yet, the court may award guardianship to relatives whom you don’t approve. 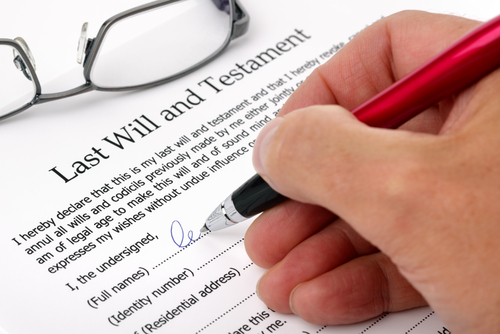 This can all be avoided through proper Estate Planning Illinois. Unmarried couples have an especially prudent need to plan for their estates, as the law does not provide a default allowing for the inheritance to surviving life partners. With proper planning, unmarried couples can accomplish their estate planning goals by using wills, trusts or other documents that will legally transfer the assets from one to another. Disabled children or adults present a financial drain on family income. Many families rely on governmental benefits to help support these family members. However, unless proper planning is in place, these benefits may be jeopardy once you have passed. Preparation of a special needs trust for the benefit of disabled individuals under the age of 65 can ensure that your child continues to receive these important benefits. Any property held solely in the name of an individual who has not named a beneficiary, such as with life insurance, needs to have a will to pass those assets to the persons or entities of their choice. A trust is another way to pass assets on after death. Since the transfer happens during the person’s lifetime, it allows that person to control his or her assets while they are still alive. This gives them the power to make changes to these agreements at any time during their lives. Having a power of attorney is essential nowadays because most businesses, banks and hospitals will not allow friends or family to direct medical or financial affairs without written consent. In fact, the Health Insurance Portability & Accountability Act (HIPAA) has made it difficult for even spouses to obtain medical records of their husbands or wives. Powers of attorney for health care and property provide the required authorization in times of need and can help you avoid unnecessary hurdles. Do you need legal assistance with your estate plan, will, trust or power of attorney authorization? Work with the Cook County & Chicago estate planning attorney with years of experience in these areas by calling Marc J. Blumenthal at 847-808-7092. You may also contact us online. Mr. Blumenthal serves clients in Chicago, Lake County, McHenry County, Vernon Hills, Rolling Meadows, Long Grove, Forest Lake, Deer Park, Wheeling, Schaumburg and the surrounding areas of Illinois.